Dutch philosopher, Jewish and Portuguese by birth. 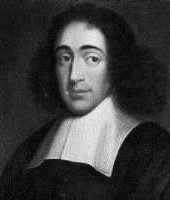 Associated with the Christian liberal and free thinkers circles, Benedict [Baruch] de Spinoza was attracted by the Cartesian philosophy and eager for knowledge.  To be able to devote himself to his intellectual activities, he earned his living polishing microscope glasses. Spinoza was excommunicated in 1656 because of his attitude judged too free compared to the practices of Judaism. He lived then as a free man without following a particular religion. After a critical examination of the Bible (it was the first real rationalist exegesis), Spinoza concluded it had been written to catch the imagination and it provides neither teaching, nor metaphysics and does not learn anything on God. He thus introduced a fundamental separation between faith and knowledge. When he wrote "Deus sive Natura" (God or nature), Spinoza identified the divinity with the whole of the real world, contrary to the traditional religious anthropomorphism, which made of God a creator, distinct from the world and acting according to a purpose. The God of Spinoza is impersonal, neither a creator, nor benevolent, nor malevolent, without particular intention for mankind, without morals (morals are made by men for men). Because of his opinions about the divinity, he was, during his lifetime, regarded as an atheist. The term "pantheist" that would be more convenient for Spinoza appeared only at the beginning of the 18th century. Ethics (1677), the main work of the Dutch philosopher, was written as a book of mathematics, with the concern for an absolute rationalism. The author praised the research of salvation through knowledge that brings joy, well-being, and saves from the troubles of passions. After he had been informed that the theologians accused his work of being atheistic, Spinoza renounced to publish it, what would certainly have led him to be burnt at the stake. Except "Philosophical Principles of Rene Descartes", "Metaphysics" and "Ethics", his works, regarded as atheistic and blasphemous, were published after his death. Spinoza is regarded as one of the most significant figures of the traditional philosophy because of his rigour and his critical sense. On account of this, he was pursued and persecuted (he got knifed). Through his rationalism, he opened the way that has led to the atheism of the 18th century. Bibliography : Short Treatise on God, Man and His Well-Being (1660), On the Improvement of the Understanding (1661, published in 1677), Philosophical Principles of Rene Descartes (1663), Metaphysics (1663), Ethics (1677).